Kai can’t hold up his head. I’ve dropped the yet from that sentence, and as I type this I’ve got a lump in my throat. My baby boy is ten months old and he can’t hold up his head. It’s why in almost all of the photos of Kai you’ll see us carrying him like a newborn, supporting his head. 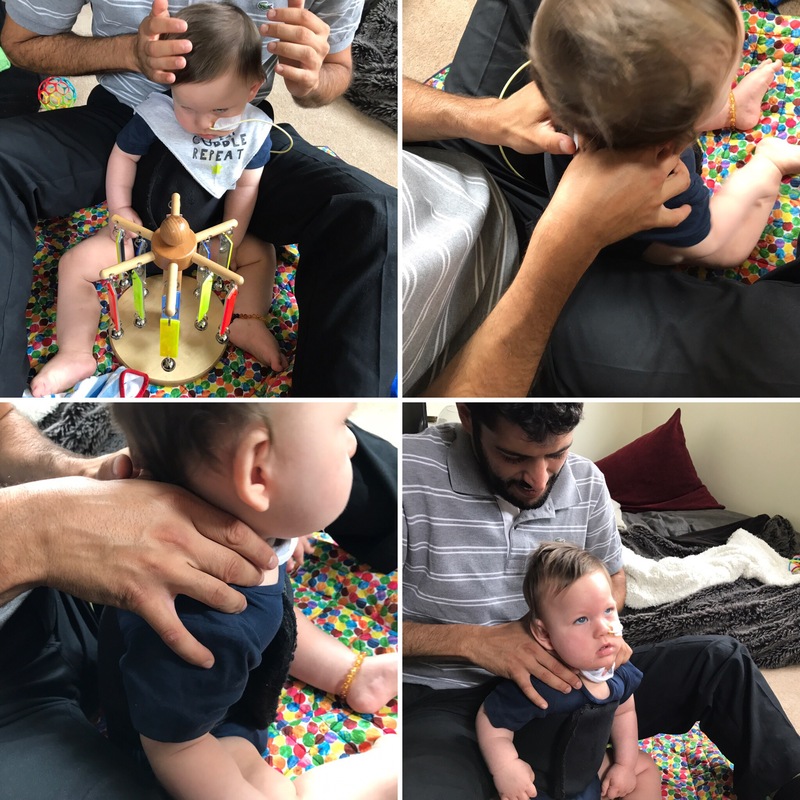 When most of his peers are pulling themselves up on things, cruising and generally little whirlwinds of energy and curiosity, when typically babies at two months can hold their head up… it’s hard to know that Kai can’t. (I’m silently thinking yet, but it’s not a surety despite the hope that accompanies it). 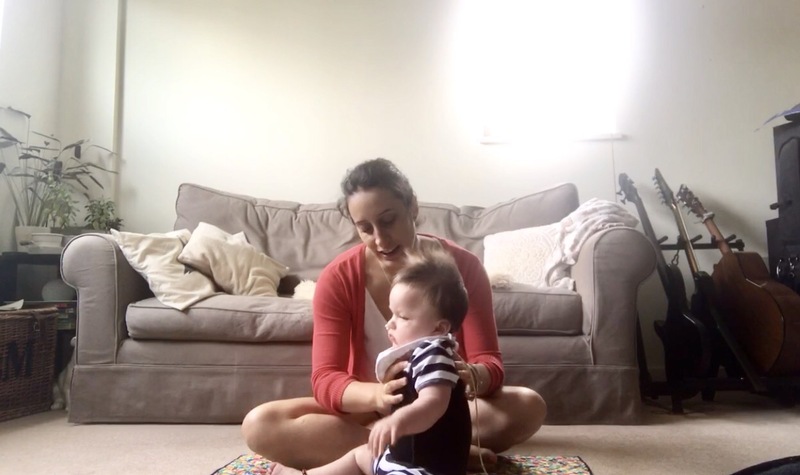 When we were told many many months ago, way back in that little room in NICU, weeks after Kai was born that he was going to have a profound developmental delay I didn’t really listen. Because at the time, what I heard was that my baby was going to live. To have profound disability, you had to live. Anything beyond that we’d deal with, I was sure of it. We’d do daily physio and whatever and Kai would be fine, because he was going to *live*. Anything else came secondary. Truly understanding what everything past ‘living’ would mean has taken months of grief and therapy. It’s taken living it. They were right about the developmental delay. Head holding is the foundation for most skills. Without head holding there can be no sitting. There can be no crawling. There can be no standing. And the standing is an important one, because weight bearing is how hip sockets are formed properly. Without weight bearing, Kai’s hips risk hip dysplasia and dislocation (and pain). Sitting is also important – the more his core is engaged, the less likely he is to develop scoliosis and require an uncomfortable plastic brace or surgery with metal rods. But to stand you need to be able to sit first. To sit you need to hold up your head. And Kai can’t do that, despite our daily efforts. Every day, before his feeds, if he’s awake we do a little bit of physio. Five – ten minutes at a time. Little and often. On a good day, he’ll manage a few seconds. On a bad day, he’ll be like a rag doll. We do a bunch of other things throughout the day. Sidelying, tummy time, rolling. 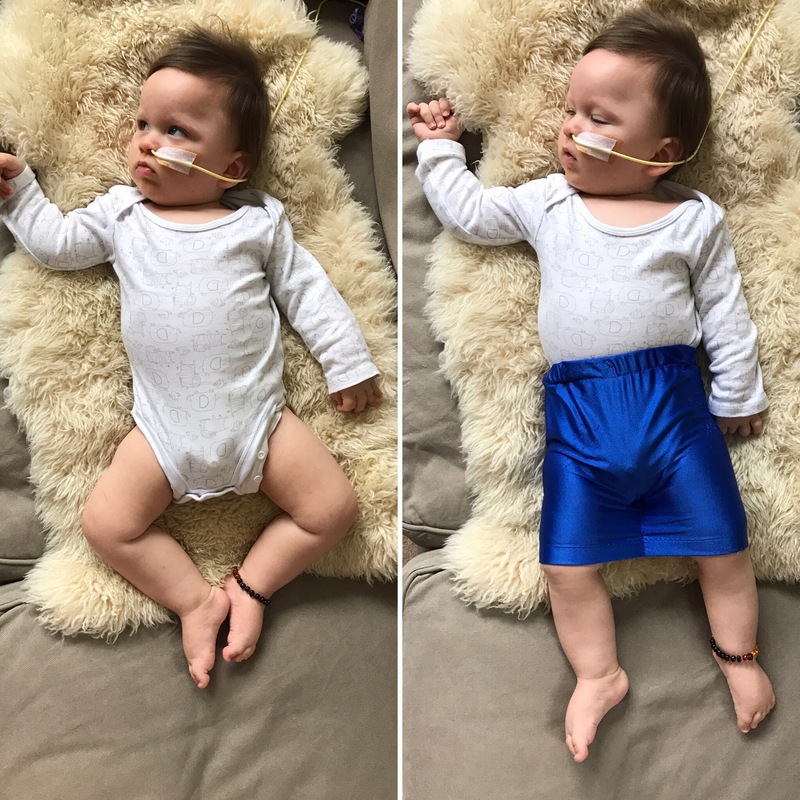 We spend a lot of time repositioning his hips – this is easier now thanks to his superman hipp helpers support shorts – their sewn together so Kai’s natural position (a wide splay) isn’t as easy to get into. Better for his hips. And yet, despite all our efforts, we’re still high risk of scoliosis, and hip dysplasia. We’ve been referred to paediatric orthopaedics, another medical professional on our already very large team. I know. I know it’s early days still. And Kai might manage to hold up his head one day. That he’s on his own path and going at his own pace and today is not the day for head holding. But as every day goes on, it’s hard not be a bit discouraged. We have so much hope for Kai, and it’s difficult to let go of that hope and still be comfortable in the world of developmental disability. So, every day. Physio. Every day excercises and repositioning. We hope for progress. Fingers crossed, hey. Previous PostOn still wishing we were in Italy, not Holland. Physio is fantastic,but also look into sleeping systems which will keep Kai’s hips and body in position while he sleeps. Takes a while to get used to it but definitely works. Also look at Lycra suits they can help to keep the body in position for as long as possible therefore delaying scoliosis,it also holds his body in shape,so he only has to work on his neck control. Neck control can come with exercise. Enjoy your today’s with him,don’t think to much about the future because nobody absolutely nobody knows what’s around the corner. Heart – thanks for the comment hey. We’ve been fitted for two sleep systems and waiting on one to be delivered, but the DMO suit is waiting on funding (seriously, it’s like £1k and the NHS won’t cover our first suit). We enjoy the best we can, but I’m also not willing to pass up on his future. 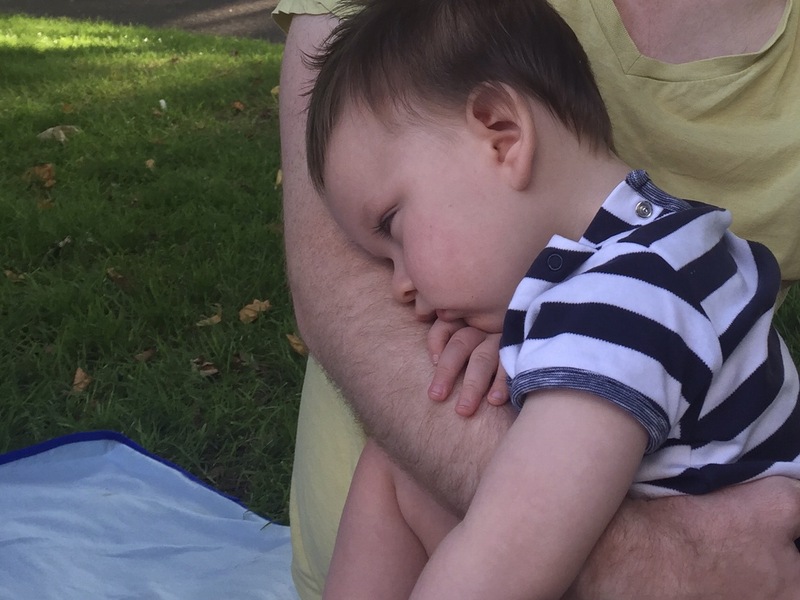 Everything we do is to try improve Kai’s quality of life: for now and his future. Not a huge fan of the Welcome to Holland poem, to be honest. It was written for higher functioning special needs kids, I think. Dealing with such severe special needs is not like going to Holland when you expect Italy. It’s like expecting Italy and going to Antartica.